As far as I can gather I think she was the first to send out this reward, so this is a newby! 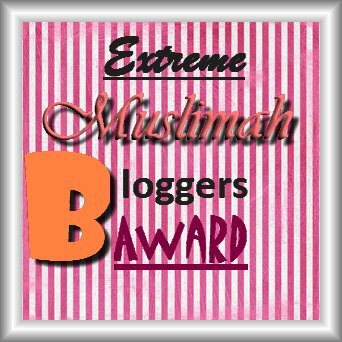 There are no rules attached to this award except that it would be nice to pass it on to other fellow muslimah bloggers. I guess it would also be nice to notify the bloggers that you have given the award to them so that they are aware of this award. 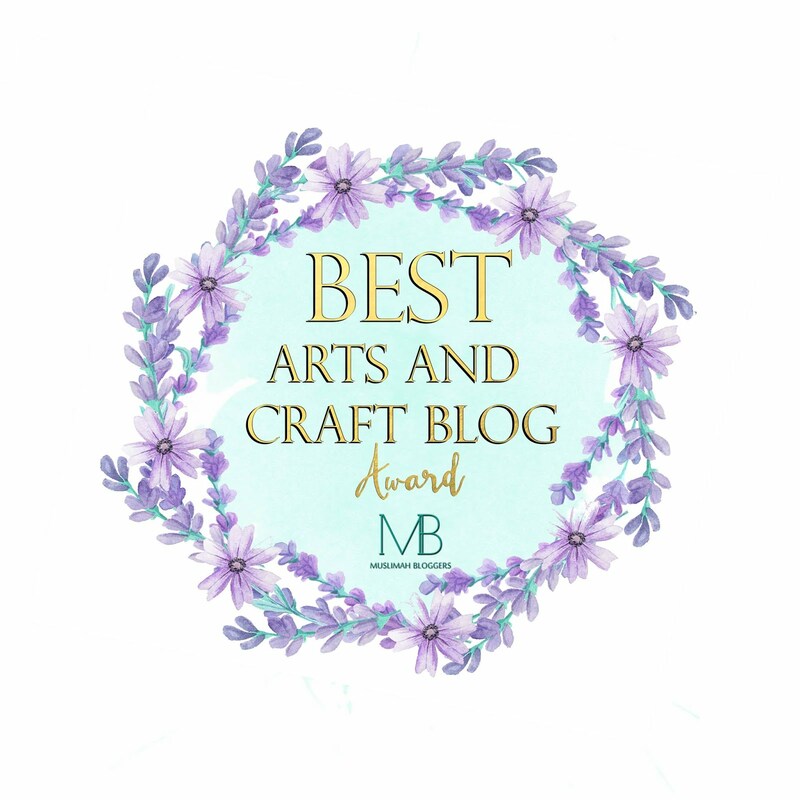 Here is my list of fellow muslimah bloggers who I am passing this award to, some are blogs I have followed for quite a while, others are blogs I have only recently started following. It would be nice for the awardees to pop by the other blogs and show some support. The blogs above are a bit of a mixed batch, some are humourous, food related, craft/sewing and personal. Thank you so much my dear sis. I am touched and loved! so sweet of you honey, my pleasure to have this award..love it. following back from www.formalityoffrugality.blogspot.com :) Have a great weekend! Mashallah, Nice blog. I wish I could sew.. I have the machine, but not the patience! i love all your sewing projects. can't wait to see what you do next! congrats! I love getting "recognized" for an award - but, it's also just sooooo much fun! Congratulations! And thanks fr you lovely comment on my blog - new blogs to discover I love this.